On Friday 26th June Rooms 2 and 2a went back to the Technology room for another session of kite making. 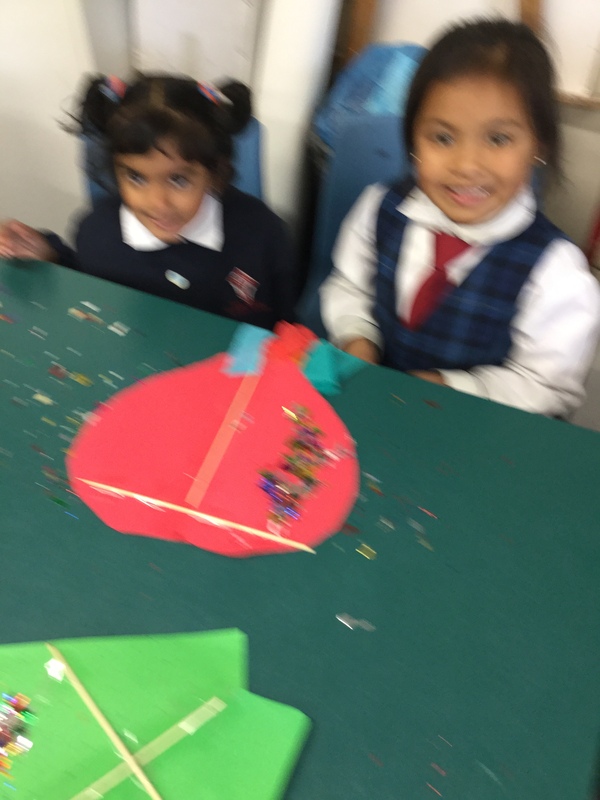 The first thing we did was admire the different kite shapes we had made. Then we sellotapes our tails on. Everyone was allowed to choose 4 streamers of crepe paper for their tail. Next they sellotapes each streamer onto the bottom edge of their kite. We talked about how the tail made the kit fly upright and straight with the bit of extra weight at the bottom of the kite body. What are you doing to your kite? 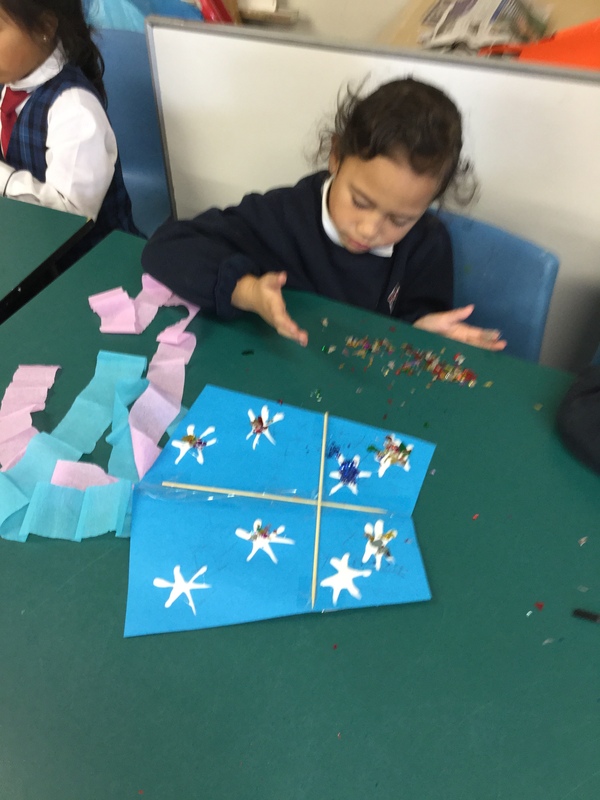 After that we drew the seven starts of Matariki onto the back of our kite. This is the side that will be seen when the kit is flying high! Mrs de Koning and Mrs O’Grady came around to put PVA glue onto the outlines we had drawn. 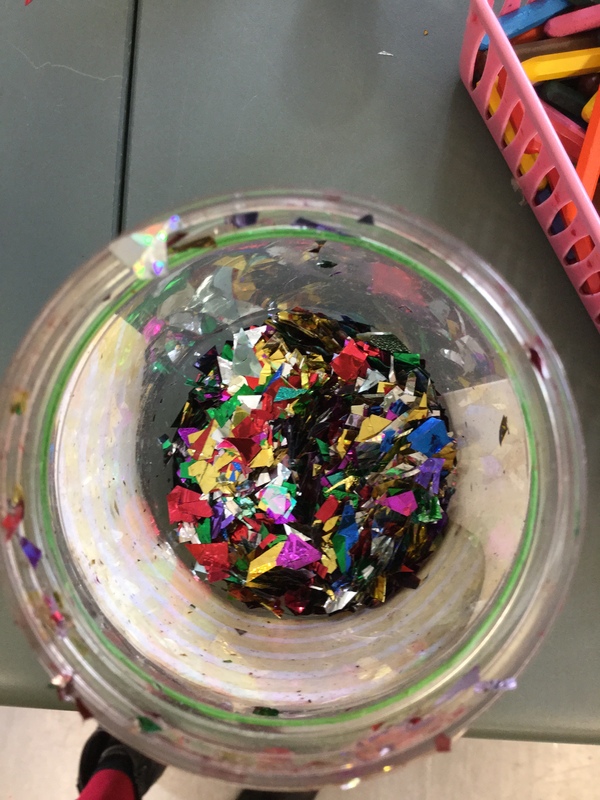 After we had the glue on we each got some glitter in our hands to sprinkle onto our kite. They will sparkle in the sunshine like colourful stars in the sky!! 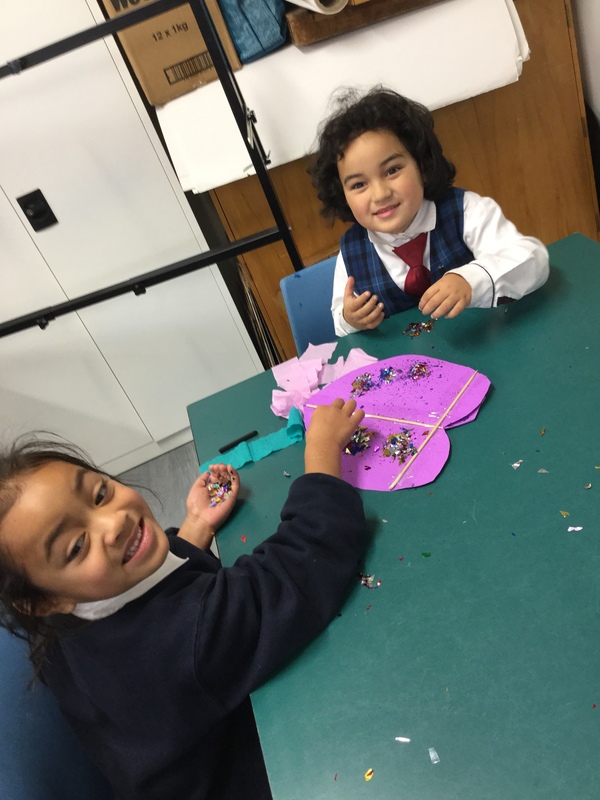 Brandon is proud of his Matariki kite. It has the seven stars of Matariki on it! The last thing left to do is add the string and fly our kites next week when the glue is dry. We look forward to having a kitye race on the back field one day – perhaps Tuesday!